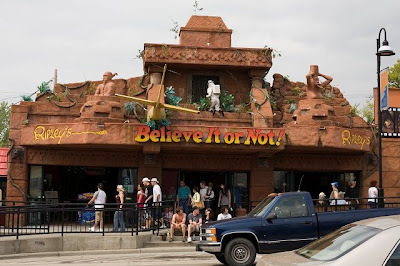 Wacky Ripley’s Believe It Or Not building in the Wisconsin Dells. There’s a large display on top of a strange storefront. I didn’t go in.